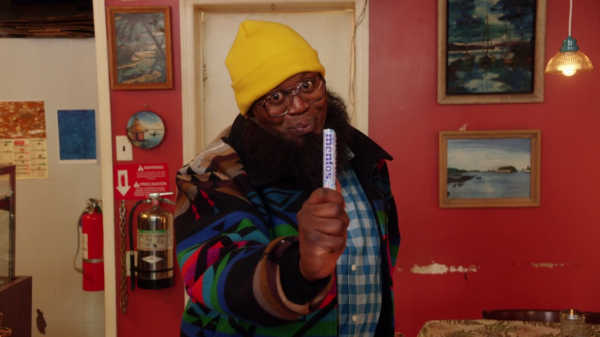 Sweatpants & TV | Unbreakable Kimmy Schmidt, Season 2, Episode 6 - "Kimmy Drives a Car!" 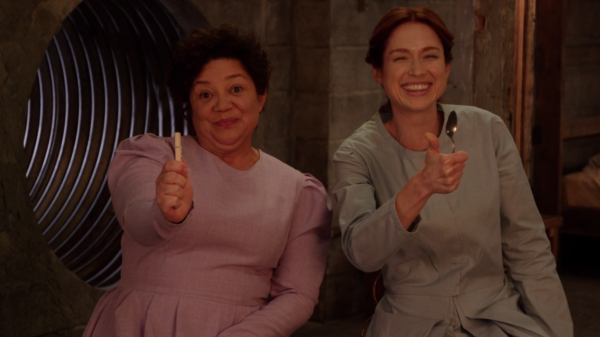 The past few episodes of Unbreakable Kimmy Schmidt have felt a little bit like prep work for the remainder of the season: We’re still missing some of the laugh-out-loud moments the first episodes brought us, but I feel like they’re laying the groundwork to finish strong. Here’s what I’m hoping we’ll see: More Mikey, Dong and Kimmy’s relationship flourishing, more Mikey, Jacqueline making ground on her attempt at helping her family, and (did I mention?) more Mikey. Sadly, Titus’s adorable boyfriend was missing yet again from this episode, but I’m holding out hope that he’ll feature more prominently as time goes on. In an attempt to make $80 (to buy a box of capes, obviously), Titus puts his and Kimmy’s apartment up for rent on Airbnb. Lillian is furious that he would allow hipsters to infiltrate their neighborhood, because it’s just yet another example of the gentrification surrounding her. Titus tries to reassure her that they’re not hipsters, just a young couple from Texas, but it turns out to be Austin, Texas. 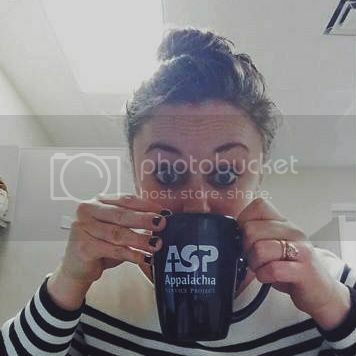 “Hipster” doesn’t even begin to cover it. The hipsters are attempting to open up a shoe store called Sole Food in Mabel’s, an old soul food restaurant nearby. Lillian pleads with Titus to not let it happen, because that restaurant holds a lot of great memories for her with her late husband Roland. Titus (in his typical Titus fashion), brushes her off at first: “That place is gross. 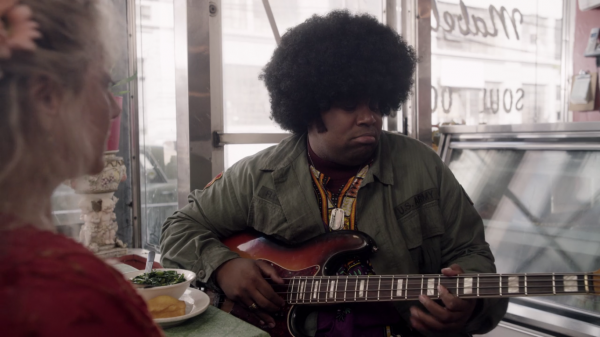 I only eat there to get food poisoning before bathing suit season.” In a truly sweet Titus Andromedon move, though, Titus makes the hipsters think that Mabel’s holds a super-secret speakeasy with very selective standards (and wears a truly great disguise while doing it). The hipsters hear that there’s already a sneaker store in the neighborhood, and they rush out disgusted. Lillian is thankful to Titus, although now a huge line of hipsters is waiting in Mabel’s to get into this trendy place. Jacqueline is still ordering Kimmy around like she works for her, without actually paying her. Titus tries to point this out to Kimmy, but Kimmy truly wants to believe that Jacqueline is her friend. However, when Jacqueline causes Kimmy to be fired from the Christmas Store, Kimmy is fed up. Jacqueline begs her to help when she breaks a tooth, but Kimmy finally stands up to Jacqueline; she lets Jacqueline know that she’s only going to drive if she’s being paid. They are no longer pretending to be friends, and each of them feels spiteful towards the other. Here’s Jacqueline, using a Mentos as a stand in for her tooth (she also later uses a press-on nail). While on a wild goose chase to find a dentist who will fix Jacqueline’s mouth as soon as possible, Kimmy drives her around like a chauffeur. Kimmy has only a learner’s permit, though, so she always needs a licensed driver over the age of 25 with her. When Jacqueline leaves her to go into a store, Kimmy starts to panic until a man gets into her car thinking she’s his Uber. Later on, Jacqueline has a realization that she needs to appreciate Kimmy more. Once her teeth are fixed, she invites Kimmy over and apologizes to her. She understands if Kimmy might not want to work for her anymore, and Kimmy says that she doesn’t. However, it’s only because she wants to go back to being her friends–plus she needs Jacqueline to lend her a car every so often, because she got a new job as an Uber driver. 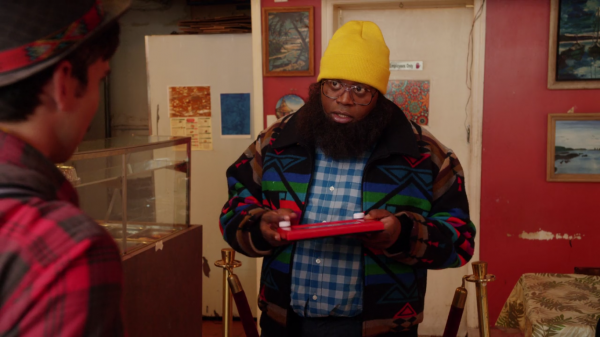 Like I said, this episode wasn’t chock full of laughs, but I think we all know to just hold on to this quirky ride that is Unbreakable Kimmy Schmidt, and it will pay off. Unbreakable Kimmy Schmidt "Kimmy Drives a Car!"